A big hole under L.A. I wouldn’t put anything past Elon Musk. Comments Off on A big hole under L.A.
I’d never heard of Alpine Beer Co. A little research reveals they are a small brewery in California. This beer, Willy Vanilly, isn’t’ listed on their website and appears to be a short run brew. Their regular wheat beer is called Willy, so this beer appears to just be a variation on it. A very nice beer, all in all. A good wheat. Not hoppy. Very smooth with a whisper of vanilla taste, but not much. A pretty place, but this is crazy for any number of reasons. I previously blogged about this, and now it looks like the bureaucrats may have chosen poorly. A neat solution to a problem. So, since I can’t get Ace Pear Cider, I am always on the lookout for something that comes close to that perfection. Our latest entry comes close. Out of California, it is 6% ABV. It is slightly on the dry side. It reminds you a bit of Strongbow or Smith & Forge. 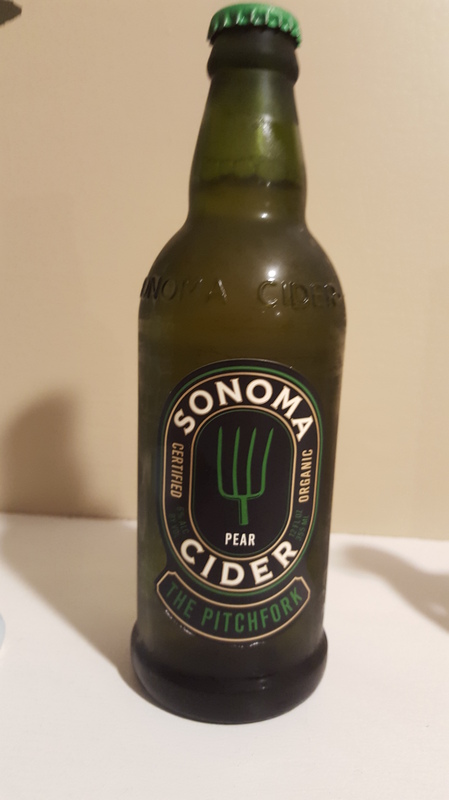 Like most ciders it has little or no bite or aftertaste. It is very smooth and enjoyable. This firm also makes an Apple Cider and an Apple Cider blended with bourbon. I will say based on this drink I will try the others if I get an opportunity. This has to be an article from the Onion, right? Time for another beer review. Surprise, surprise, its another wheat beer. Its Sierra Nevada’s Kellerweis. The beer is a pretty classic unfiltered wheat beer. It is 4.8% ABV. It has a very pleasant aroma. Is smells strongly of banana and you get both a banana flavor and a hint of vanilla in the initial taste. The manufacturer also notes a hint of cloves in the taste, but I did not get that until much later in the beer. I’ve previously reviewed a banana flavored beer here. As in that case, the banana flavor was good. I had the beer with steak and rice and grilled veggies and it was good. The brewer recommends having it with salmon or brats. I am not sure about the salmon, but I can really see this one going very well with brats.